TRS government even as social media amplifiers and bots turned active following the data theft controversy. Small time models from Bengaluru, Mumbai, Pune also joined the Tweet- War. Addressing a press meet KTR showed the tweets that were made from such handles. There were different tweets TRS has described during the Congress, the tweets against the government as " cash-for tweet" scam and alleged the involvement of Naidu and his son, IT minister N Lokesh in it. It was pointed out by the TRS that even the tweets that appeared in Telugu were not by Telugu people, as it appeared from the Twitter handles. The party alleged that the TDP had hired an agency to trend the hashtag with tweets against the TRS government. "Shockingly, all the Twitter accounts posted the same message in their tweets." The TRS said. A clear look at the #TSGovtstealsDatarevealed that most of the tweets had originated from non -Telugu speaking twitter users in Maharashtra and Uttar Pradesh. Surprisingly MS Dhoni Fan Club with more than 10,000 followers also tweeted this. 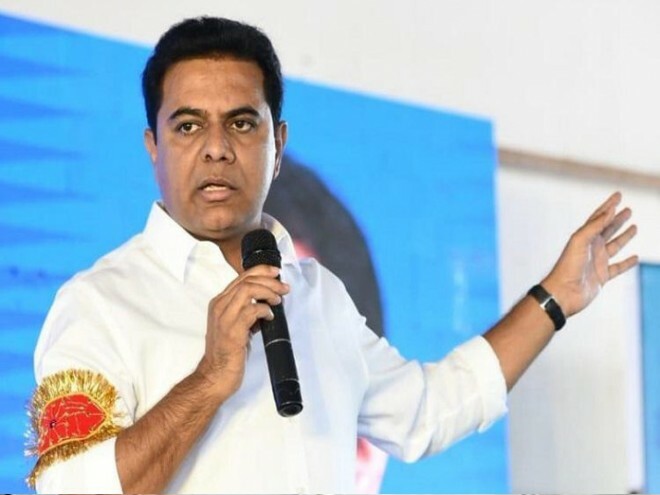 Complaints have been filed with Twitter on these handles which are being used to defame the Telangana Government, The Director Of Digital Media Telangana had also approached the cyber crime police to raise the necessary action.